Kitesurfing private courses are ideal to learn without wasting time and maximizing your progress. It’s the best way to guarantee you get the maximum attention from the instructor, learning faster than in group courses. Private courses have 1 student and 1 instructor. The student has the kite at all times from the beginning of the class. This way every mistake is taken care of immediately because the instructor doesn’t have to pay attention to anybody else. 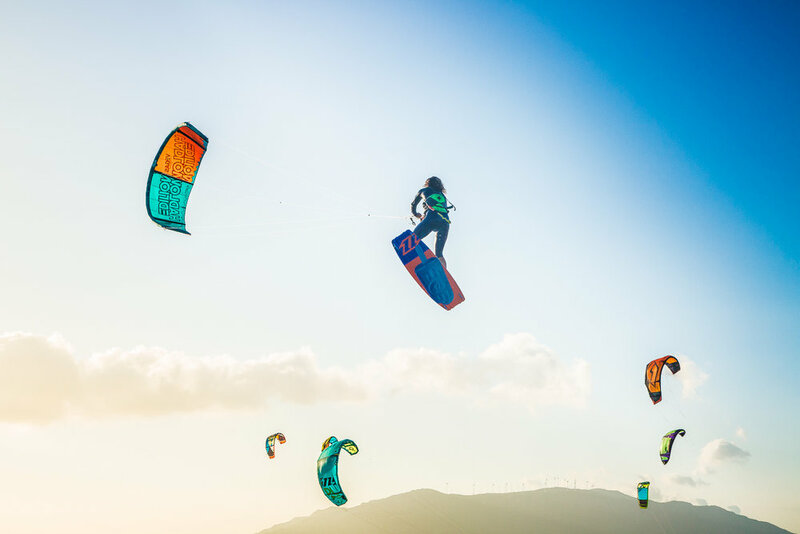 Kiteobsession guarantees that the instructors with the most experience will be teaching the private and semiprivate courses. This course can be for beginners with cero experience or for advanced students. -Would like to learn from the beginning without wasting any time. -Are taking a group lesson and would like to progress more. -Have done a kitesurfing course some time ago and would like to continue with your progress (refresh). -Already know how to kitesurf but would like to improve your technique. 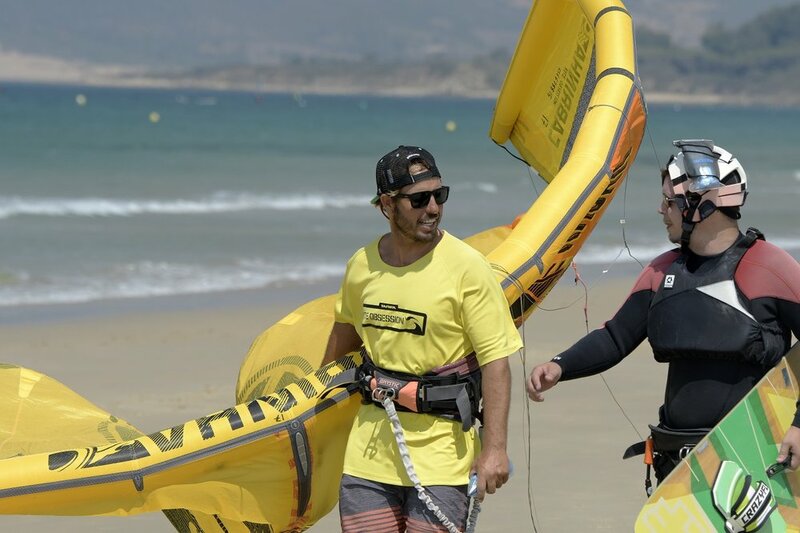 These kitesurfing lessons are bespoken and designed around each student’s preferences. They usually go for 2 hours per day, but we can also adapt to doing 3 or even 4 hours daily, depending on your availability. The biggest difference is that your progress will be much faster than with any other type of course. If you’ve already done a course some time ago and you would like to continue with your kitesurfing lessons, the private course is ideal because we can adapt to what you already know, refreshing what you’ve forgotten and progressing from where you left, without wasting any time. It is also ideal for whoever needs confidence, going over things in detail and wanting to feel safe and in control. Kitesurfing private courses are also ideal for advanced students. The instructor will be by your side the whole time and will use waterproof radio-helmets. If you are starting from cero you might ask yourself… How many days will it take me to learn how to ride? This depends on each person. There are students that can achieve this in 2 or 3 days and others will need 5 or 6… Either way, with the private course you will save hours and days of training because you will learn in less time. Ask us about discounted pricing for multiple days.